By now, you’ve likely heard about the issues with water bottles, particularly the one-time use plastic bottles that are so common. Over 90% of all plastic that is recycled ends up in our oceans. For that and many other reasons, you may be drawn to insulated water bottles. Insulated water bottles are great for everyone, but travelers particularly love the advantages of insulated water bottles. They’ll keep your drinks cold or hot for a long time, and you’ll be reducing your plastic footprint while protecting your health. It’s easy to learn how to clean water bottles, and adding some water bottle stickers can add some extra personality to your choice of a water bottle. When you’re looking at insulated water bottles, you may not know whether the investment is worth it or which water bottle to choose. We’ve created a guide to insulated water bottles, so you can make the best buying decision. Hydro Flask is arguably the most popular and trendiest insulated water bottle. This water bottle has an excellent slip-free grip, so you don’t have to worry about dropping your bottle. 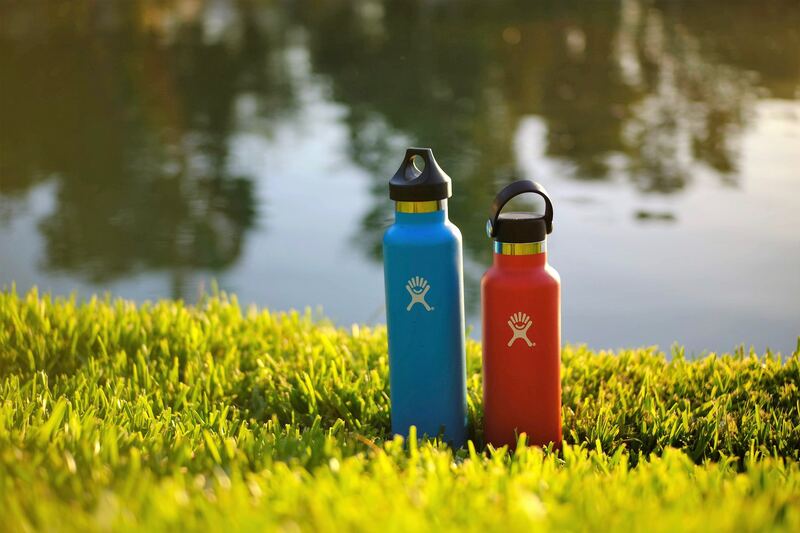 Hydro Flask has expanded to many different colors and styles. Almost everyone should be able to find a water bottle that suits their personality with this option. 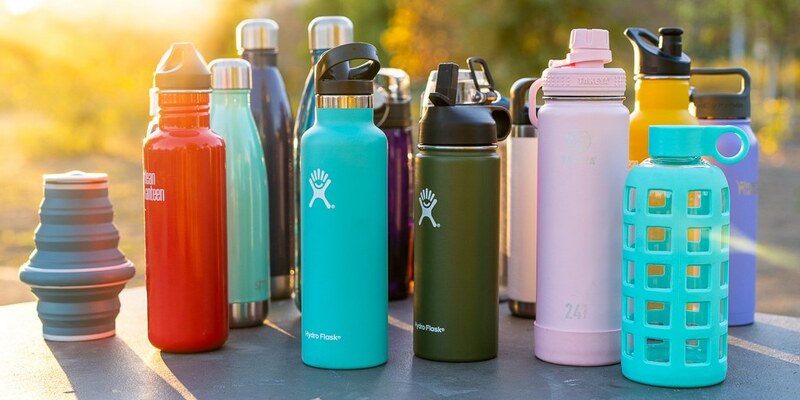 Hydro Flask is one of the more expensive water bottles as they’ve been able to position themselves as the leader in the space, but you can feel confident about the quality. Finger loop: These water bottles have a convenient finger loop to make it easier to carry around. Insulation: Hydro Flask has excellent insulation. Cold drinks will stay cold for 24 hours, and hot drinks will stay warm for 6 hours. Expensive: Hydro Flask is one of the more expensive water bottles as they’ve been able to position themselves as the leader in the space. 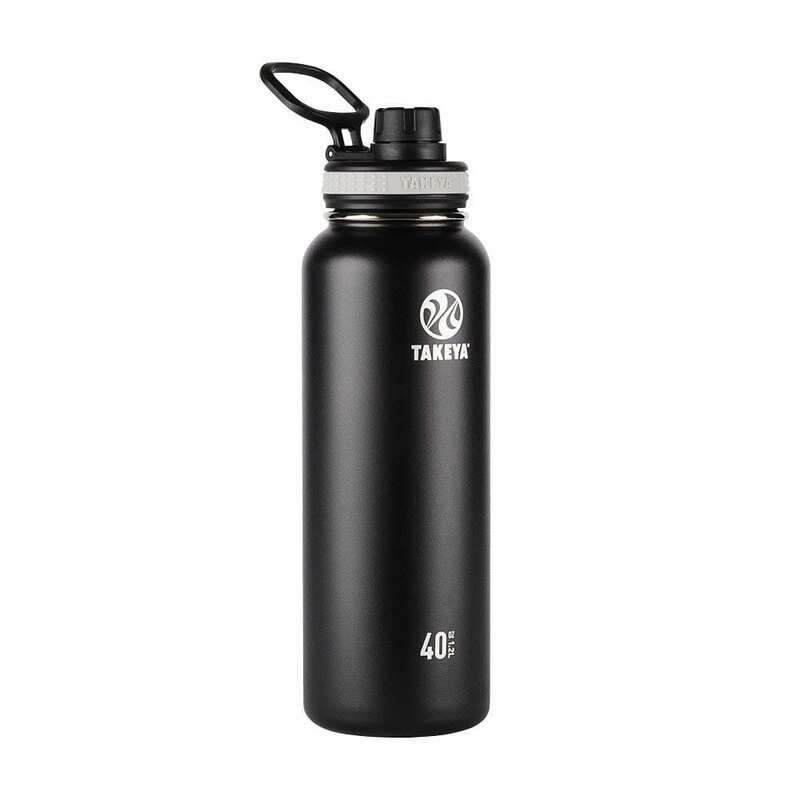 Large bottle: The bottles are too big to fit into a vehicle cup holder or a bicycle rack. Not technically leakproof: This bottle is not technically leakproof, but we haven’t seen any complaints on Amazon about it leaking anyway. Short insulation periods: While Hydro Flask can keep liquids at the right temperature for a while, other bottles that can keep a hot drink warm for 12 hours, 6 more than this Hydroflask model. The Vinnsulator has one of the cleanest, sleekest designed we’ve seen. We also love the low profile of the logo. These water bottles are perfect for anyone who wants to be ahead of trends or loves good design. These water bottles are practical, fitting in water bottle holders on bikes and in vehicles. These bottles are also engravable, so you can add some personalization if that’s important to you. Insulation: This bottle keeps your cold drinks cold for 24 hours and your hot drinks warm for 12 hours. Protection features: This insulated water bottle has a scratch-resistant coating, and the double wall insulation keeps your hands safe from hot liquids. Limited colors: There are only 5 colors available on Amazon, so the customization here is a little bit lacking. You’ll also have to remove and replace the cap each time you take a sip of water. Only one size: There’s only 1 size available (25 ounces). While this is a great size, people who want a different size are out of luck. Slow opening: Because this bottle doesn’t have a straw or another mechanism for quick drinking, you’ll have to remove and replace the cap each time you take a sip of water. These water bottles are great options for many. It’s BPA safe, just like the other options on our list, and it’s made of food-grade materials so that the bottle won’t transfer flavors. The spout is leak-proof and has a very convenient finger loop. These bottles are high-quality and easily comparable to popular water bottles from other brands. Insulation: These bottles keep cold drinks cold 24 hours and hot drinks warm for 12 hours, both on the longer side. Multiple sizes: One of the first things we noticed is how many different sizes of this bottle there were. This bottle comes in 14, 18, 24, 32 and 40 ounces. Some sizes are too big for cup holders: Depending on the size you buy, the bottle will also be too big to fit into standard cup holders (or a bicycle rack). Sweat: Some customers have noticed that the lid can sweat. If temperature control is the most important thing to you for a water bottle, this may be the best choice for you. This water bottle is also excellent for those who like options. It comes with two different kinds of lids One is a standard screw-top and one is a straw-lid. With these options, you can choose the best lid for the type of activity you’ll be doing or according to your personal preference. Finally, the Buzio has a user-friendly design so you can fill your bottle with ice, clean it and take it anywhere you need easily. Color options: With eight different colors available on Amazon, you can find a color that you’ll enjoy. Insulation: This bottle can keep a cold drink cold for 48 hours and a hot drink warm for 24 hours, both the longest that we’ve seen. Lifetime warranty: The point of getting a nice water bottle is so that it will last you for as long as you want it. 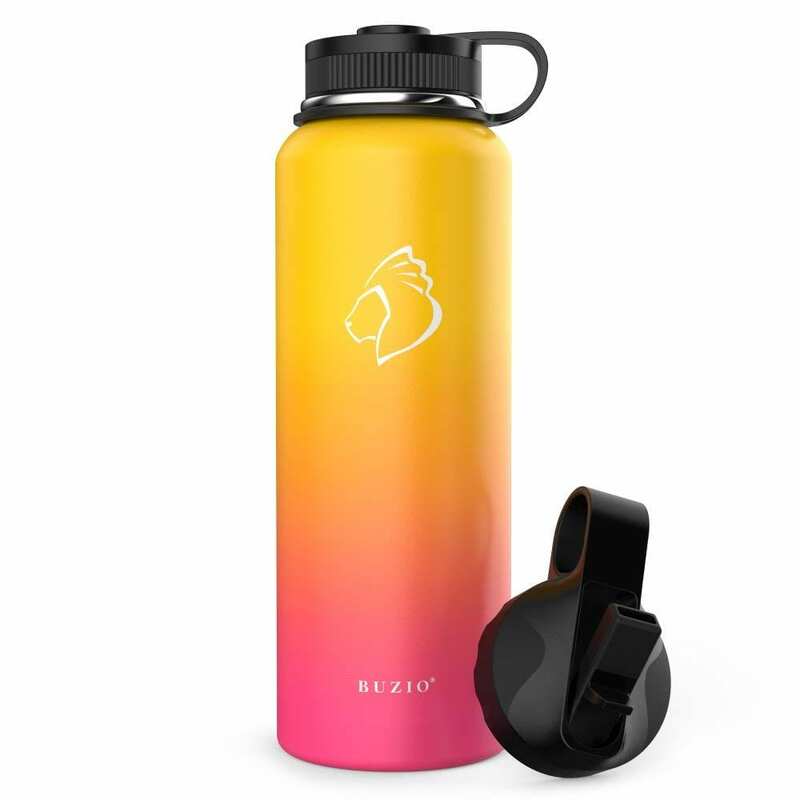 BUZIO has a lifetime warranty, so you can be confident that your water bottle will last. Limited carrying case options: The 64-ounce version comes with a carrying case that adds additional insulation. We love this, so this is a pro if you like the large size. While the smaller sizes don’t necessarily need a carrying case, this would be a nice addition to see across all models. 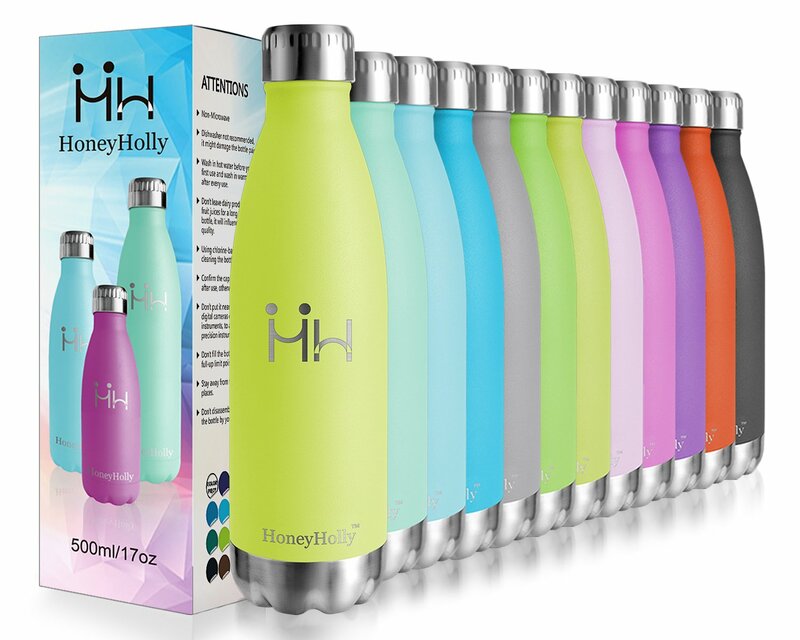 We absolutely love the unique pastel color family of HoneyHolly bottles, and the price for these are great too. This is another environmentally friendly water bottle that will be ideal for any kind of adventure or lifestyle choice. With 3 sizes to choose from (350 ml, 500 ml and 750 ml) and multiple colors, there’s something for everyone. Insulation: With double wall technology, the bottles will keep your cold drinks cold for 24 hours and your hot drinks warm for 12 hours. Leakproof cap: The cap is also guaranteed to be leakproof. Money-back guarantee: Each bottle comes with a money-back guarantee, which shows the company’s confidence in its product. Some sizes are too big for cup holders: The larger bottles are too big to fit into a standard cup holder. No finger grip: If you love having another grip to hold your bottle, you’ll be disappointed to know that this bottle doesn’t have any additional handles. An insulated water bottle keeps your beverage cold or hot for a significantly longer amount of time than a standard water bottle. 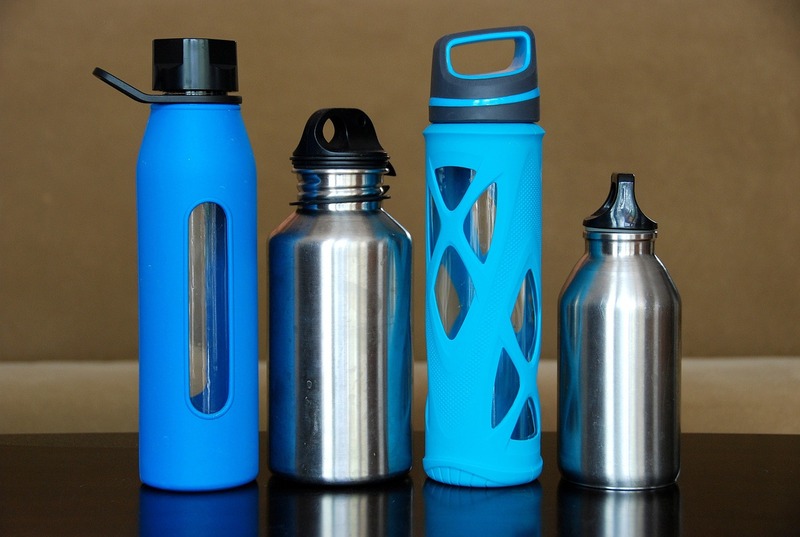 An insulated water bottle can be used for all types of beverages from wine, coffee, tea or soda. Some of the bigger insulated water bottles can even hold an entire bottle of wine. No matter what your beverage of choice is, you can enjoy it at the intended temperature, then wash your bottle so it’s ready for the next thing you’d like to drink. Whether your idea of adventure is going to the gym or going on a hike, an insulated water bottle is great to make sure you’re hydrated and healthy. An insulated water bottle can be taken anywhere you go, so you don’t have to worry about finding water when you’re away from home or a place to purchase water. You’ll be protecting our oceans by minimizing your plastic footprint and you’ll also be defending your health by removing harmful chemicals like BPA or BPS from your diet. Most insulated water bottles can also be easily washed in a dishwasher making them an ultra-convenient way to reduce plastic waste and protect health. Everyone has their personal list of things to consider when they buy an insulated water bottle. Here are some important things to consider. Because your insulated water bottle will become one of your primary accessories, choose a style and color you like. Keep in mind, you can always customize your water bottle further with water bottle stickers. Price is always a determining factor. 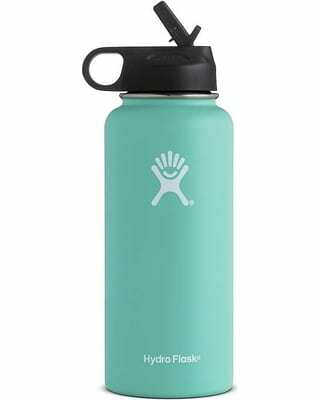 If you’re willing to splurge a little bit, then the popular Hydro Flask might be your best option. There are insulated water bottles available at almost all price points, so it’s an investment that’s available for almost everyone. Think about how you’ll be using your insulated water bottle. If you’re active, you might want one with a finger loop or straw lid. If you’re going to be using it in your car or bicycle, a smaller size is for you. Most insulated water bottles keep drinks cold in the 24-48 hours range and hot drinks warm in the 12-24 hour range. Choose a bottle that will keep your liquids at the ideal temperature for as long as you need them at that temperature. We love buying our insulated water bottles on Amazon as we can sort the results by customer reviews, read detailed overviews and browse pictures. What better way to learn about a water bottle from other customers? You can also buy water bottles from the manufacturer or in stores. However, don’t forget to look over reviews first, so you know you’re getting what you want. We think that insulated water bottles are a great choice both for their convenience and the good using them does for the environment. We highly recommend finding a water bottle you like that is convenient, personalized and environmentally free. If you’re not sure which water bottle is right for you, read our individual, in-depth reviews of our top 5 picks for insluated water bottles.